Today we’re excited to bring you one our biggest and best deals ever – which is saying something! We’ve partnered with 10 hugely talented design shops to bring you a vector collection that will give you infinite creative options, and a vast library of popular resources. We have been so eager to share this bundle with you guys, as a ton of work has gone into it. 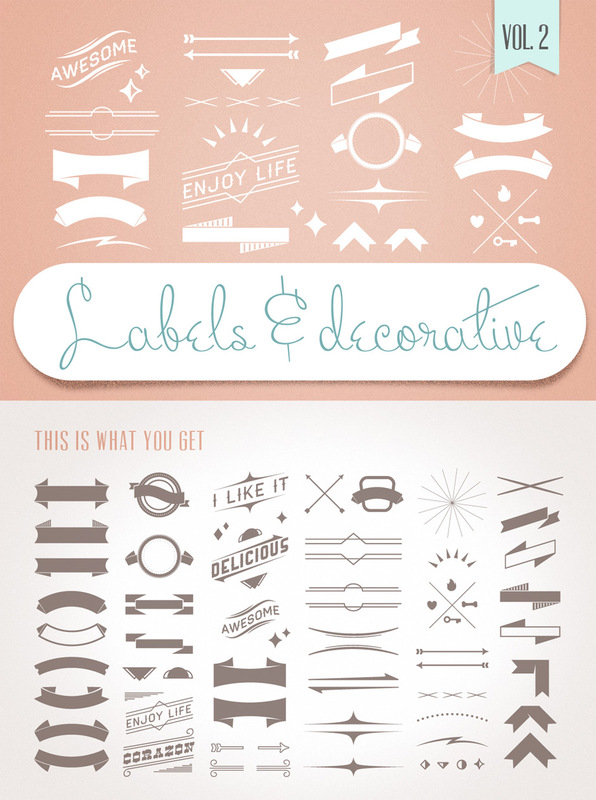 This collection includes the best-selling items of 10 popular design shops. 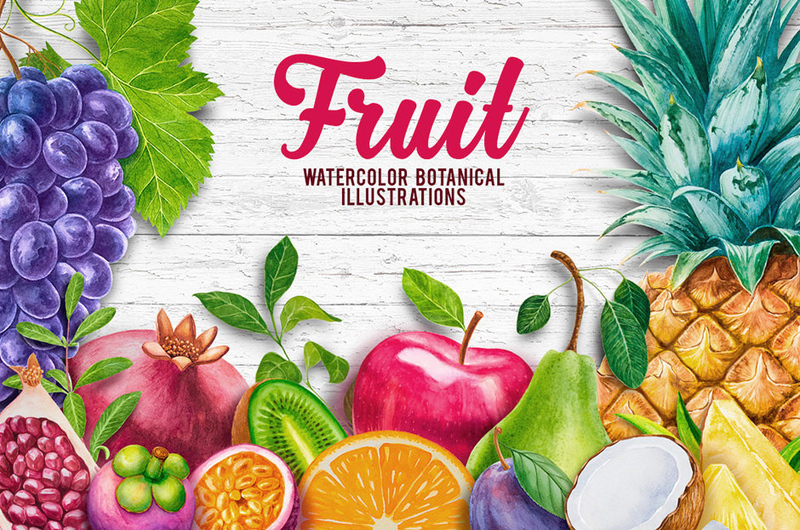 There are literally thousands of amazing vector items in this collection, ranging from banners, to frames, icons, textures, floral flourishes, hand-drawn doodles, clipart, shapes and much much more. When we say these items are best-selling, we mean it. These items are wildly popular even at full price, so to grab them at a 91% discount is unheard of! 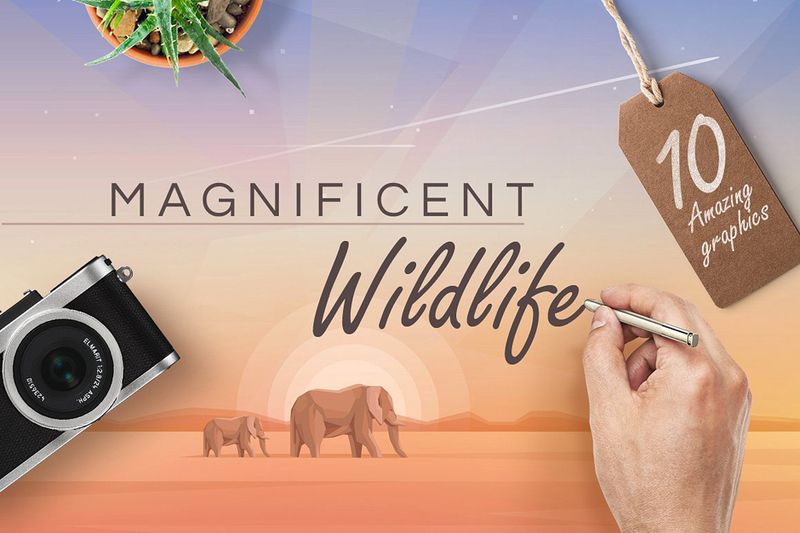 Whilst vectors function best within vector software such as Illustrator, if you’re a Photoshop user this bundle has you covered too. Many resources include EPS files, which open no problem in Photoshop and Photoshop Elements, and many of the resources also include .png and .psd versions to help you. Basically, whatever software you’re using, you should be fine. The level of detail in this items is nothing short of exquisite. These resources have been lovingly hand-drawn and then scanned in, giving you an authentically creative touch for your design projects. As these items are so thorough, they often include bonus items, useful text guides and other professional extras. There is an extended license on all vector in this bundle. 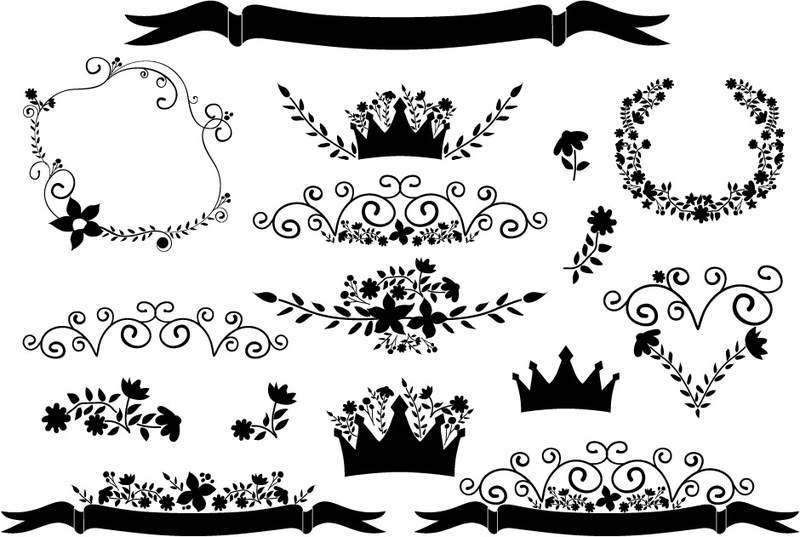 This means that not only are they OK for commercial projects, but you can use these vector in items that you sell. The only restriction is that you cannot redistribute the vectors directly (i.e. : ‘as is’). Take a look at how incredibly creative these vectors are below. We’re sure you’ll love them as much as we do! • Tutorials, tips, and tricks to help you make the banners your own! This set comes in black and in white. 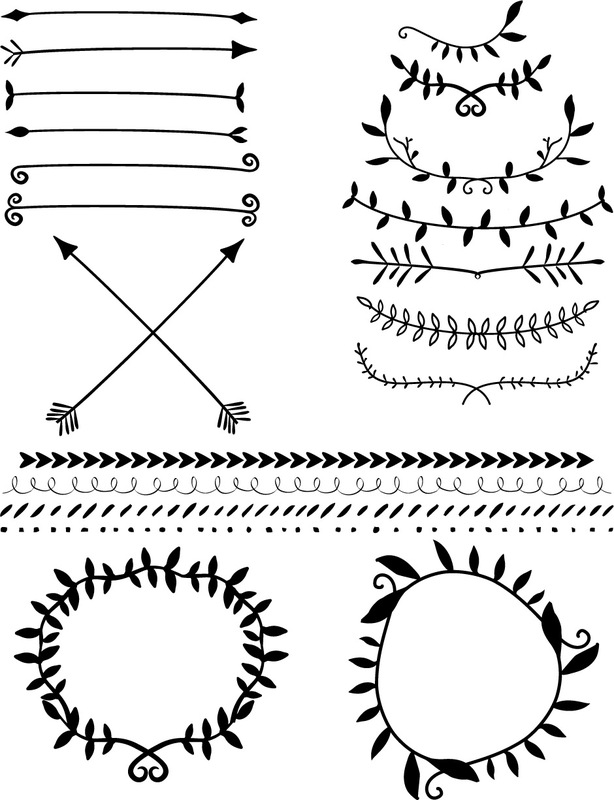 A total of 40 PNG files – arrows, laurels, borders, wreaths, & vines that would be lovely on a website, blog, an invitation or some stationery. Also includes 1 EPS file in black. 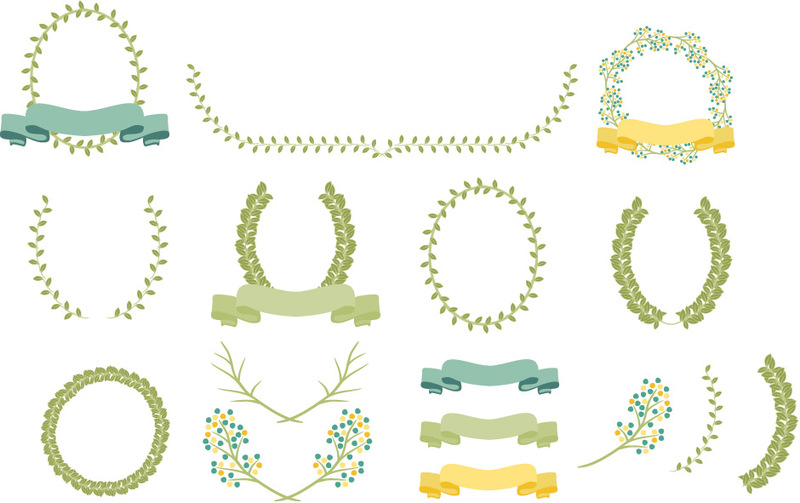 Vector Florals, Laurel Wreath, Crown and Ribbons perfect for designing pretty stationery, invitations, used as blog graphics, or anything else you creative darlings come up with. Includes a total of 48 PNG files, 16 PSD files, and one large EPS file. Also includes one chalkboard web tile for the perfect seamless chalkboard background on your blog or website. 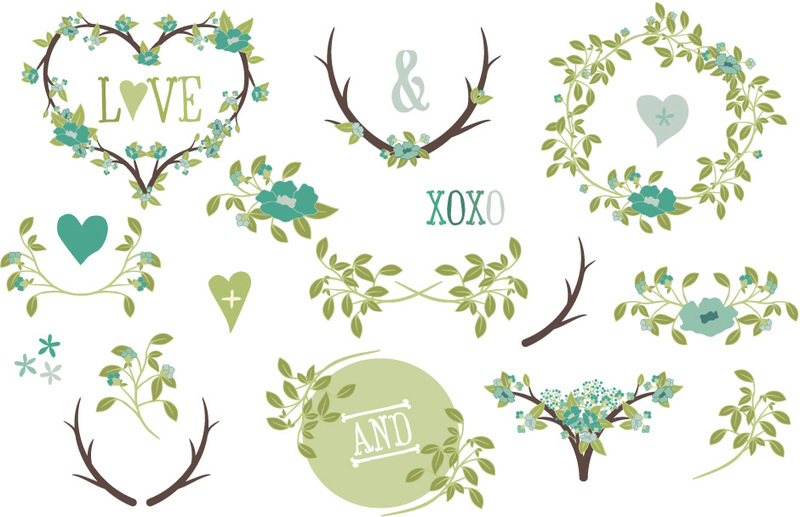 Hearts, wreaths, laurels and blooming branches to make some lovely Valentine’s designs, decorate your blog, or maybe create some bridal shower invitations. This set includes 21 PNG files and 1 EPS file. 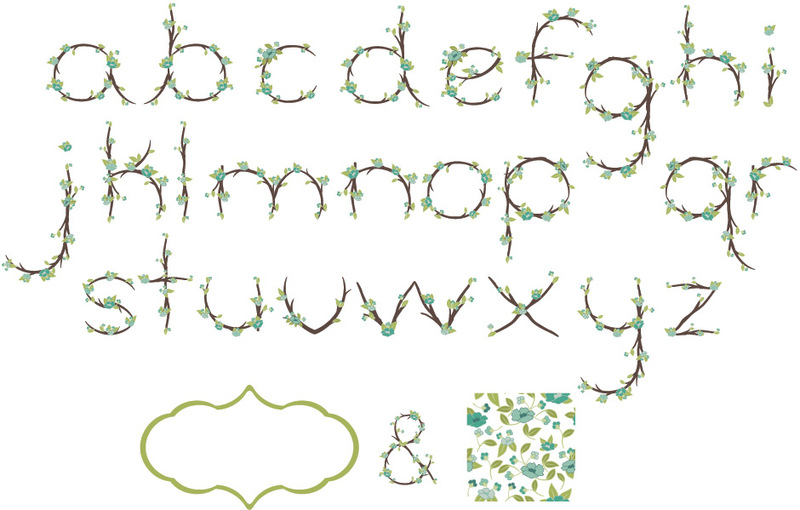 Branches with spring blooms twisted into the letters of the alphabet. This isn’t a font that you install. Each letter is a PNG file. The set includes the letters of the alphabet, a tiling background in two sizes, and the green frame as shown in the first image, as well as an “&” because we all love ampersands. A total of 30 PNG files and 1 EPS file. Laurels, wreaths, branches and ribbons. 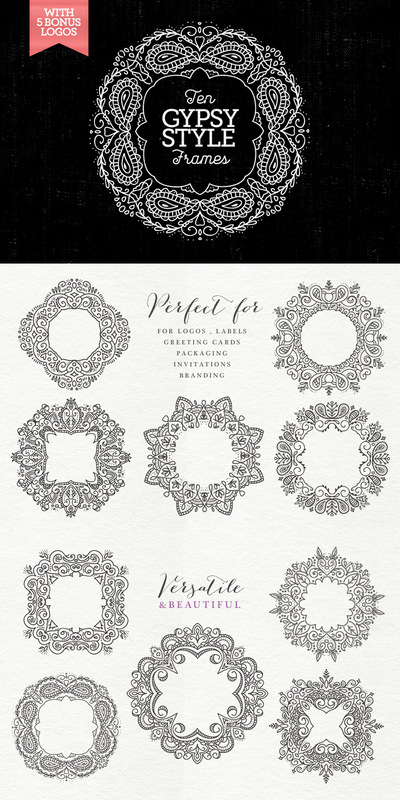 Create lovely invitations, scrapbook projects, logo designs, or decorate your blog or website. Includes 18 PNG files and 1 EPS. – 1 Ai file with 55 vector figures full editable. – 1 Eps file with 55 vector figures full editable. – 1 Ai file with 55 vectors figures full editable. – 1 Eps file with 55 vectors figures full editable. Perfect for decorate text or phrases, animations, infographics, blogs, invitations, banners, cards and more! – 1 Ai file with 30 vector figures full editable. – 1 Eps file with 30 vector figures full editable. A collection of 40 simple vector silhouettes featuring a series of houses, office buildings, factories, and an assortment of other types of buildings such as a church, barn and castle. Also included are 4 city skylines made up entirely of the buildings themselves. Designed to be used as a set or separately, each building is a vector object, that can be used ‘as is’ or to be modified and rebuilt into your own lil city! Creative elements for your graphic design works! Great for logo designs, badge designs, sign designs or as backgrounds. – All shapes are resizable so you can save it in any resolution or dpi. 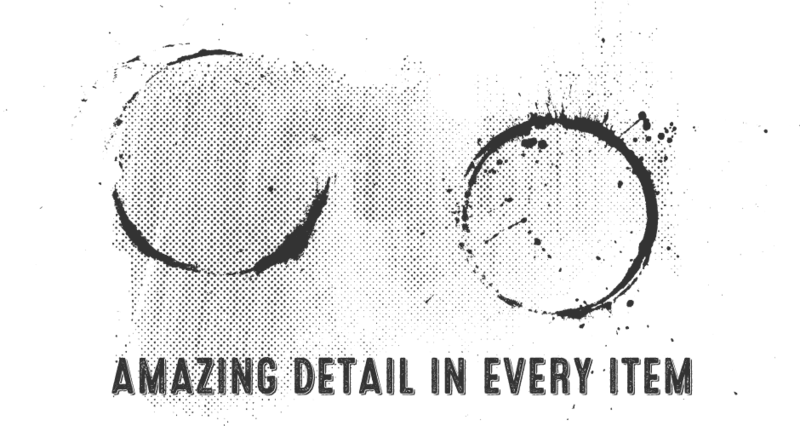 Ever wish that full-page texture you were working with didn’t have an edge? 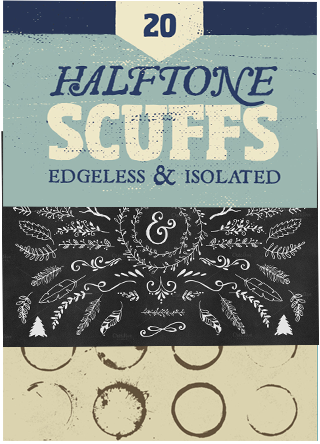 Say goodbye to pesky edge management with this set of isolated halftone scuffs and scratches. Each texture is completely edge-free which makes way for an easy texture implementation without looking out for the edge. 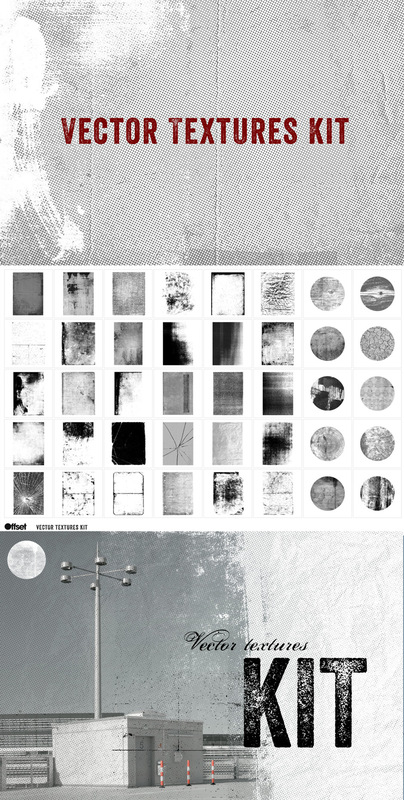 This 20-texture set pack’s an old school vintage flavor and is ready to rough up whatever design project you’re working on. Here’s a vintage sunburst set with a fun and playful look. With a variety of 15 individual sunburst illustrations to choose from, there’s sure to be one to fit the bill on your next design project. Each sunburst was illustrated by hand with a marker for an authentic handcrafted look and feel. – 15 individual illustrations, offered in both EPS and PNG file formats. – Both file formats feature the isolated illustration in dark gray, with a completely transparent background. – The PNG dimensions range from 1,800 to 6,000 pixels wide (based on original illustration size). 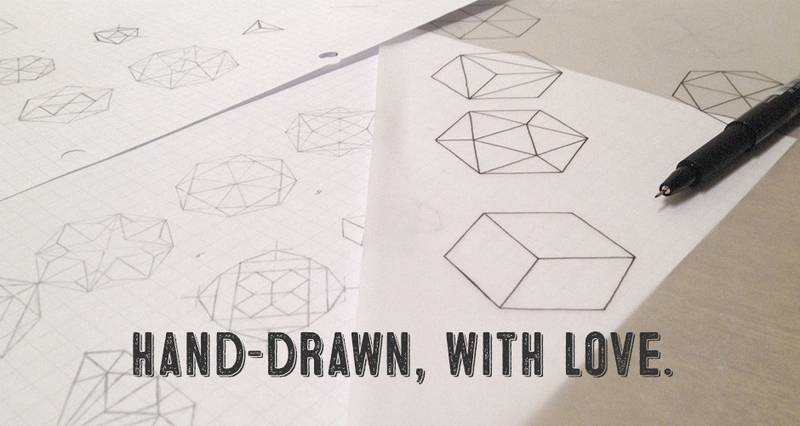 These shapes were originally illustrated by hand for an organic flavor. – All 15 illustrations are offered in both Vector EPS and PNG file formats (30 files total). – The PNG files are sized to approx. 5,000 x 5,000 pixels. 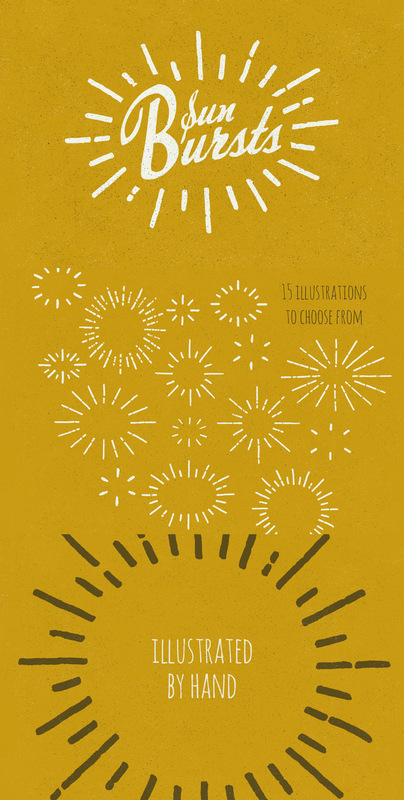 Here’s a fresh hand-illustrated batch of sunbursts. No software-generated shenanigans here folks, just good old fashioned marker and paper. The illustrations were scanned in at a very high resolution to provide a high-quality end product for your web, HD video, apparel, or large-format print needs. – 12 individual illustrations, offered in both VECTOR EPS and PNG file formats. – The PNG files are sized to various dimensions based on original illustration sizes. The PNG files range anywhere from 4,600 x 4,500 pixels all the way up to 10,000 x 7,000 pixel for the largest. 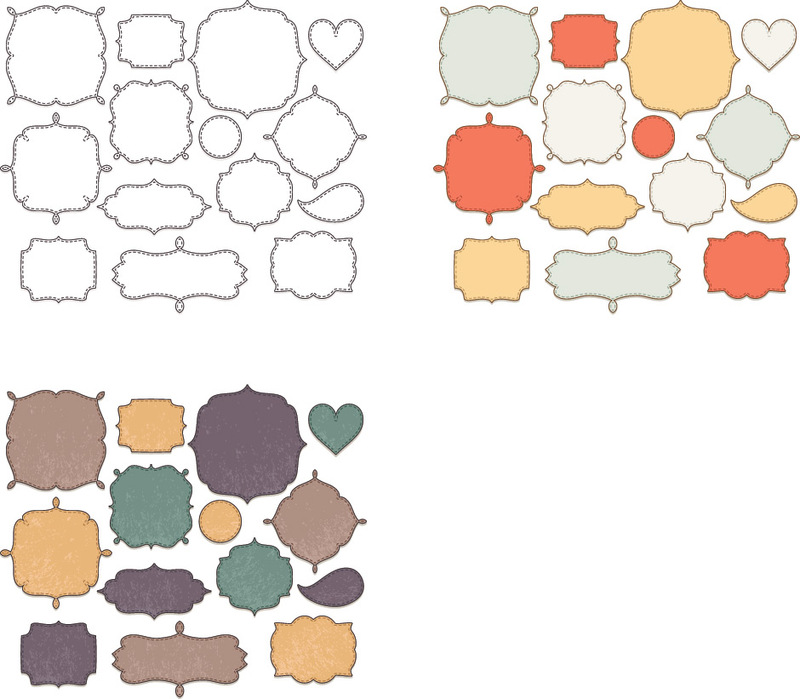 This 40 item set offers a variety of hand inked/painted circles. 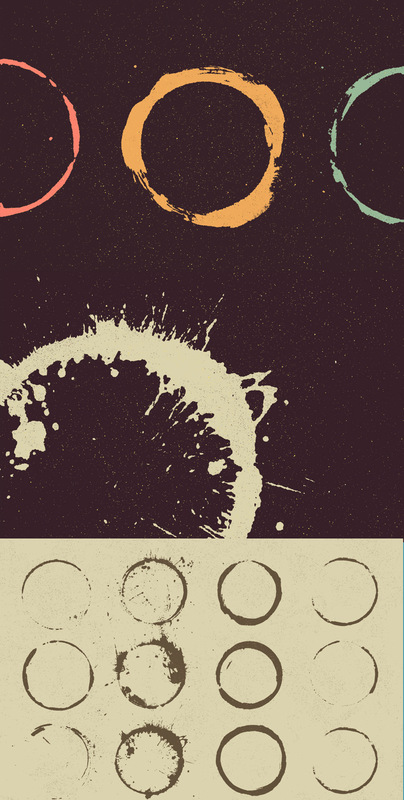 The circles range from subtle, organic rings, to heavy coffee-sup stained rings, to circles with heavier paint splatters for more of a grunge look. Note that there are 40 included circles, but only 12 are pictured in the product preview images. – The PNG files are sized to roughly 4,000 x 4,000 pixels (dimensions vary by circle). 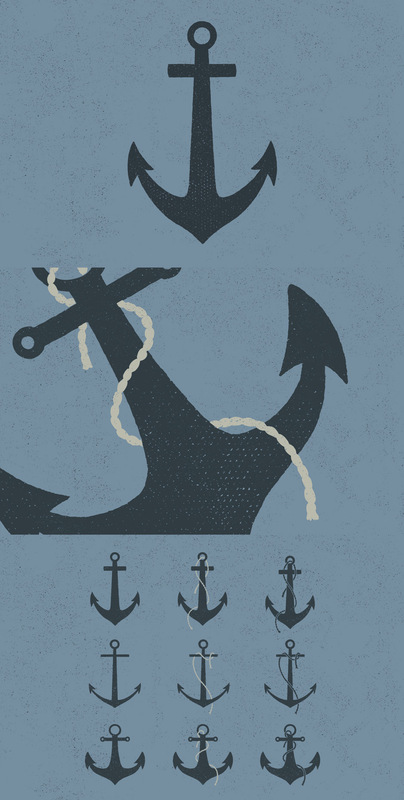 This set of hand-illustrated nautical Anchor silhouettes was originally hand drawn with a pencil, the old fashioned way. The shapes were further refined in Adobe Illustrator after scanning into the computer. The result is a natural hand crafted feel to the objects. – Each illustration file is offered in both vector EPS, and PNG format. The PNG images are roughly 2,500 X 4,000 pixels. Both formats feature the illustration in gray, with a transparent background. Because they are vector artwork they are resolution independent so you can scale them to any size required. This makes them much more flexible than bitmap and pixel textures that have a limited maximum resolution. Every element is fully editable to suit your project. Change the colours, delete elements, combine elements and textures together for unique effects. The complete collection is supplied as 40 individual Illustrator 8.0 eps files so that they are compatible with all vector and bitmap applications. A collection of 5 vintage medical diagrams from old anatomy journals. 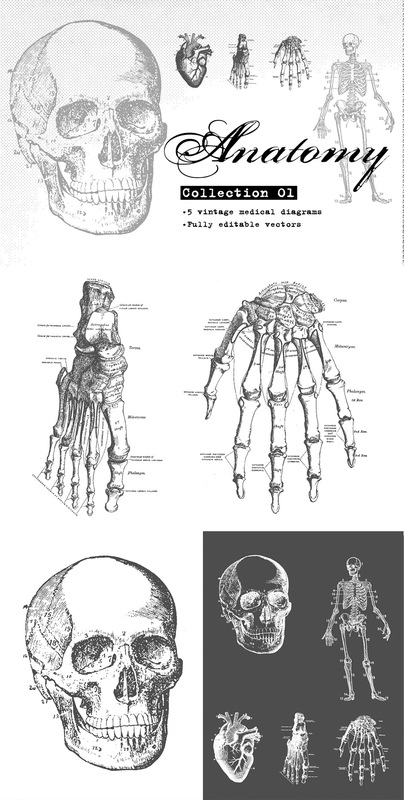 A human skull, heart, hand, foot and skeleton that can be incorporated into any design or illustration project. 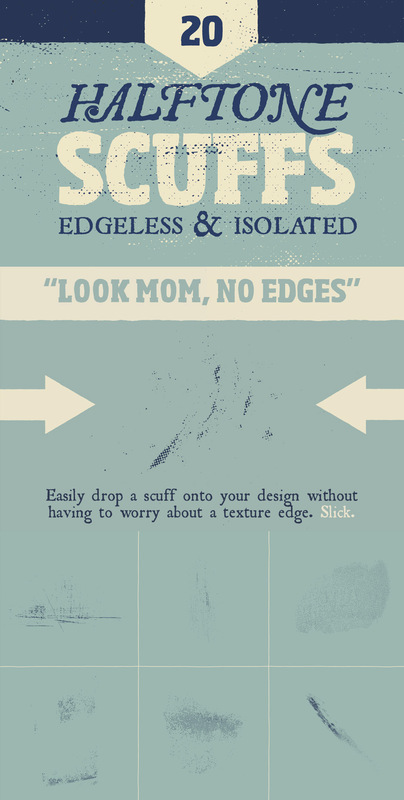 They work well with other vintage textures or graphics. 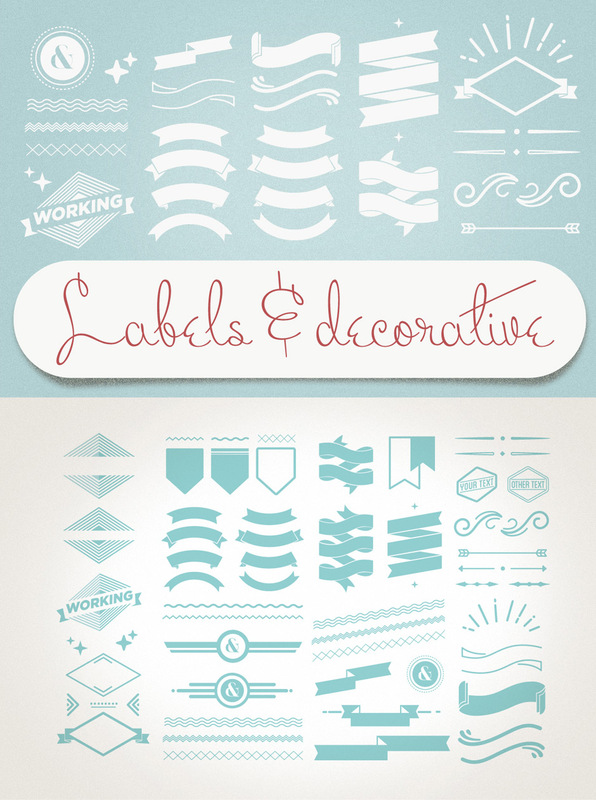 This collection is all vector artwork so every element is fully editable to suit your project. Change the colour, delete elements and scale the graphics to any size you require without any loss of resolution, unlike pixel based artwork or bitmap images. Beautiful set of hand drawn branches. Create your own compositions and decorate your designs. You can use it for web, prints, invitations, text, message decoration and many more! – Shape layers (vectors): you can change the size of the object without losing quality! – Easily change colors and more! You can save every object in size, color, shape and file format what you need. 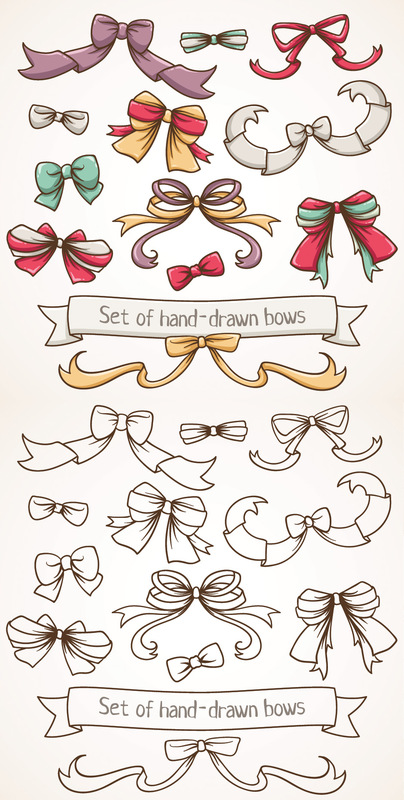 Beautiful set of hand drawn bows. You can use it for web, prints, invitations, text, message decoration and many more! Increase your imagination with this pretty bows. Beautiful set of colorful flowers, branches, leaves, berries and ribbons. Create your own floral compositions or decorate your designs. 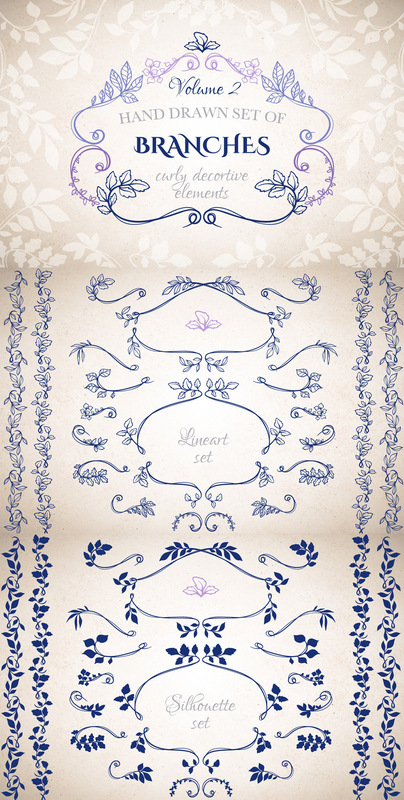 You can use it for web, prints, invitations, text, message decoration and many more! Increase your imagination with this pretty florals. You can use it for web, prints, package, scrapbook, wrapping and many more! Just choose your favorite color and style or use your own colors. A good buddy of mine is getting married in a small, rustic mountain town this fall. And guess who’s in charge of designing the invites? 🙂 So, I’ve been sketching tons of elements for his big day, and in the process, was able to put together a pack of goodies just for you! This pack of ‘rustic elements’ is full of leaves, trees, axes, arrows, paddles, feathers, wine bottles, wood, antlers and of course, some banners, for your creative pleasure. BONUS! Just to show you some examples how to use them , I’ve included a little taster in the form of 5 editable logo templates. Click on Preview 4 to zoom – and scroll down to see the full set. Layered Psd – shapes scaleable to any size with eitable text for logo templates. With so many elements , they can’t all fit on the preview screens, please click on each of the preview images, and scroll down to see the entire collection. This pack has all you need to start creating a million logos / greeting cards / branding identities , labels ,prints ,patterns and more. 1.) 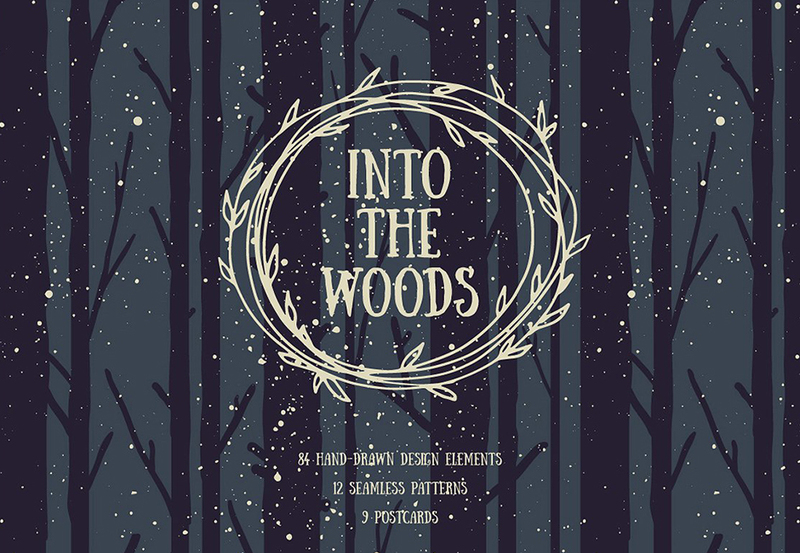 Over 300 new and unique hand-sketched vector elements (no duplicate items counted). 2.) 12 Illustrator Brushes for you to make even more unique elements than are provided. Files included are PSD, CS2, CS5, EPS, and PNG. 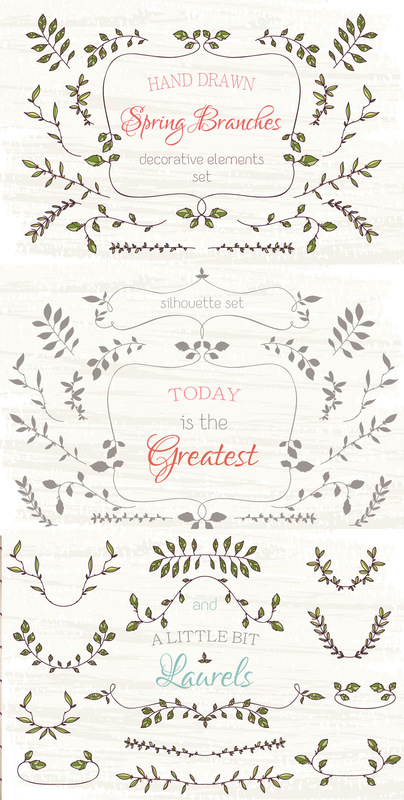 This pack includes 115 Rustic Hand sketched Vector elements,doodles,banners, frames, laurels and graphic elements for use in your logos, branding and design projects of any description. Authentically rough and ready, as if you drew them yourself – a perfect pack to keep you ‘en trend’ in todays popular design style. 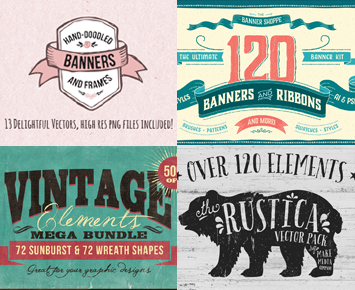 From florals to feathers, banners to borders…this is a hefty new pack. Introducing the new VERY VINTAGE Designers Kit – various vintage elements, inspired by genuine old scanned vintage newspaper adverts – that you can use to build your own unique vintage artwork and branding. 5.) 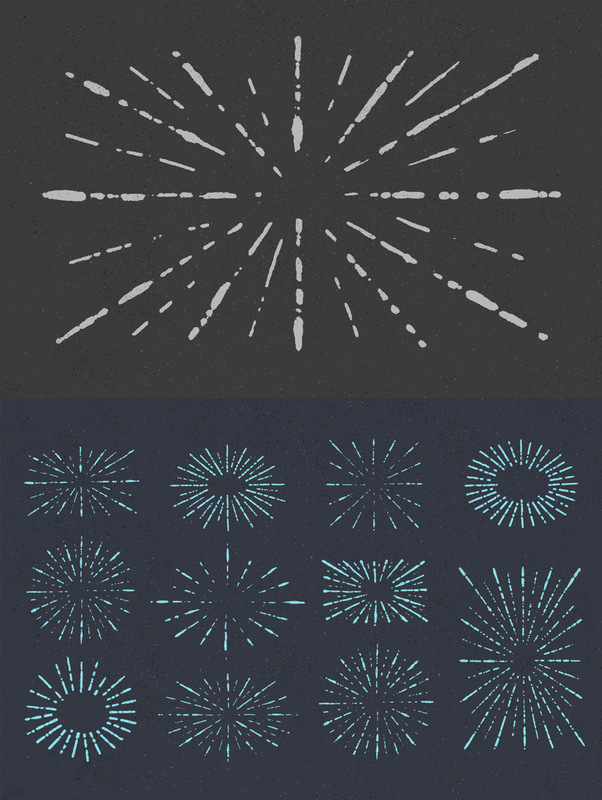 6 very trendy ‘ray bursts’ now being used in lots of vintage designing. 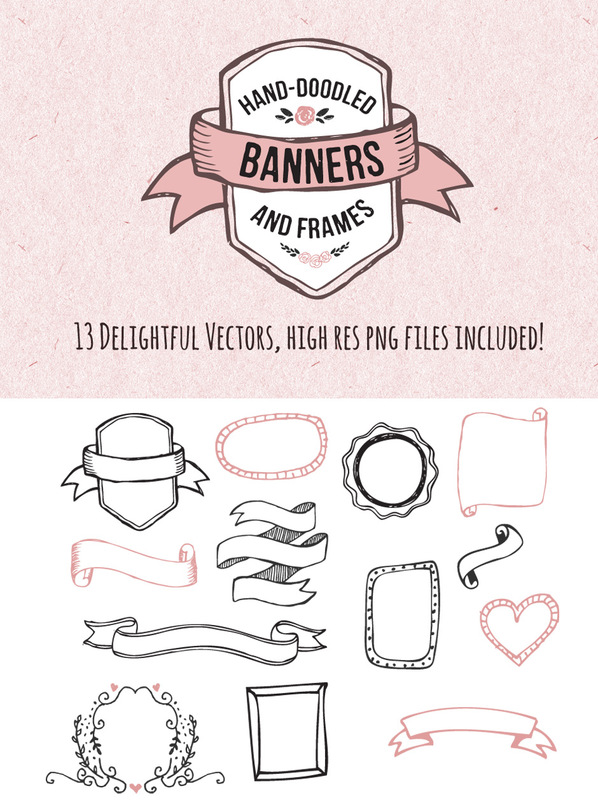 13 Hand-doodled banners and frames in vector format , high res png files included. Enjoy! 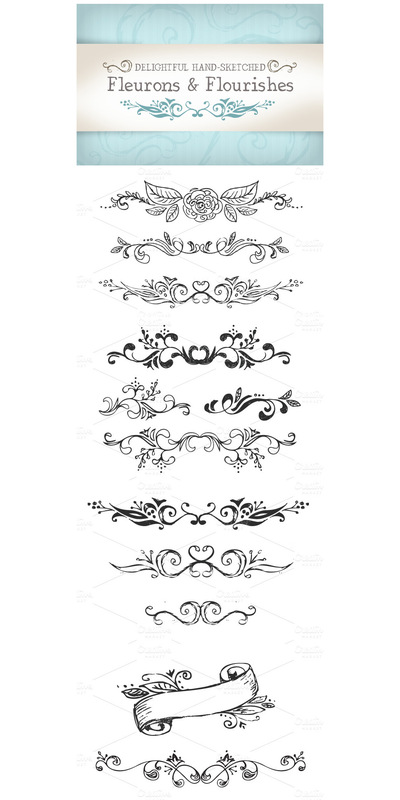 A Vector set of hand sketched Fleurons & Flourishes – great for web/print projects. After many community requests, we’re including a useful .pdf browsing guide. This allows you to easily see which vectors are included in each folder, without having to refer back to this deal page. (This is included with your deal download). 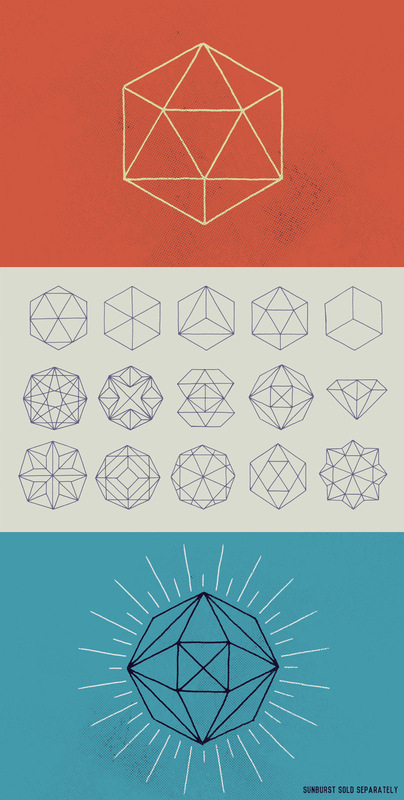 This collection includes thousands of best-selling, creative vector elements. Files come in .eps, .ai, .psd, .png formats (see items descriptions for further details). These vectors are compatible with software such as Illustrator, but also work with raster software such as Photoshop and Photoshop Elements. Vectors are organised into carefully labelled folders, and a .pdf guide is included to make browsing them easier for you. The majority of items in this collection have been drawn from hand, giving you work an authentic creative feel. Deal includes extended licensing. You can use these vectors within commercial projects and items for resale. I loved it! You guys have done a fabulous job, I have never seen such amazing graphics on the internet. Yay that’s so great to hear Robert and thank you so much for your awesome support! Hoping you run it again as I just found this site. I have also popped you over an email to help! Thank you so much for your comment and I am really sorry that you missed this deal! Thank you so much for your comment, I am really sorry but I’m afraid that this deal is now well and truly finished, so I won’t be able to set you up with this. We have recently launched our new marketplace and with this in place, we will no longer be featuring our older bundles as re-runs in conjunction with our new bundles. I apologise for any inconvenience caused! Our marketplace will allow you to grab some of the most popular products from past bundles as a kind of second chance if you missed them the first time around so don’t worry, there is still an option to purchase some of the most popular items from our past deals so I would definitely recommend checking it out! If there are any other particular items from this pack you were interested in that are not currently featured in our marketplace, please don’t hesitate to send me some links, and I’ll be sure to get in touch with the designers to try and secure the resources for you! I hope this helps! If you have any other questions or if there is ever anything else I could assist you with please do get in touch. I’m always happy to help! Thanks so much for getting in touch. I can certainly help you out 🙂 I’ve sent you an email to assist you with this. I hope it helps, and please don’t hesitate to contact me should you have any other questions. I’m always happy to lend a hand! Could you let me know where I can find on the Internet similar one. good evening. I really wish I did not get this package but can I still be paid once proven to do and I get this package wonderfully. thank you! Thanks for commenting! I am afraid that this bundle is not available for purchase as it expired quite a while ago so i am unable to swap your incorrect purchase for this one. however i can add you to the master list for this one so i will email you if it goes live again in the future. I have also sent you an email about your incorrect purchase and we can get that taken care of for you as well! I hope this helps, and please don’t hesitate to contact me should you have any other questions. is there anyway to still get this? Thanks so much for your comment. This bundle is actually one of our older deals that we have re-run a few time in the past. Because of this, it’s unlikely that we’ll be offering it again soon. If there are any particular items in this bundle you were interested in, please do let me know which ones they are, and I’d be happy to point you towards the designers stores, where you can purchase them at full price. I hope this helps, and please don’t hesitate to contact me should you have any other questions. I’m always happy to help! This was an awesome bundle. How can I find out if you offer this bundle again? Thanks for commenting and i can help you out with this :). We sometimes re- run an older bundle in conjunction with a new bundle- i have added you to the master list for this deal and rest assured if this one goes live again, i shall definitely be in touch so you dont miss out! I hope this helps, and please don’t hesitate to contact me should you have any other questions. Oh how I despise myself! I keep coming back to this page hoping it’s been reran but I know it’s hopeless now.. How awful! Hope to see something very similar in the near future. Thanks so much for commenting! I am really sorry that you missed this deal, I would absolutely love to keep you updated on if it ever becomes available again 🙂 I have sent you over a quick email to help you with this! Ooh I love so many of these elements please let me know if I can still grab this deal ! I’m afraid that this deal is now well and truly finished, so I won’t be able to set you up with this. However, sometimes we do re-run an older deal as a special bonus, in conjunction with a new deal. The best way to ensure that you don’t miss a deal is to join our free newsletter, by signing up at http://www.designcuts.com. I’ve added you to the master list for this bundle and I’ll be sure to drop you an email if this bundle is live again. How did I miss THIS one???? ARG! So perfect! 🙂 I’ll keep watching! Thanks for the comment! I am so sorry you missed out on this one! I wish I could get you set up with it but it has unfortunately finished. 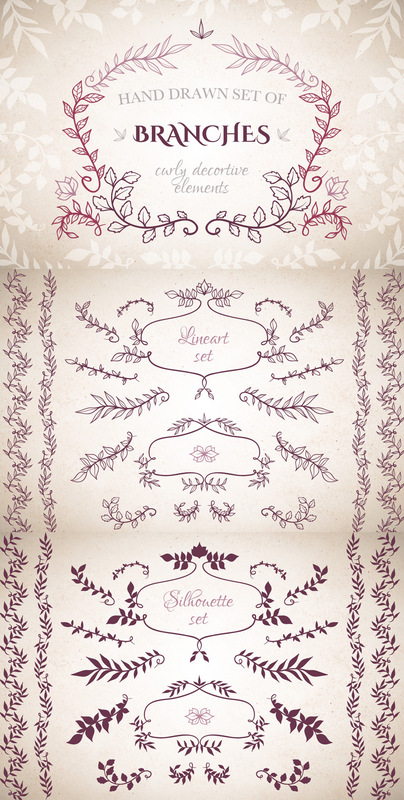 Please, let me now when it’s avaivable again, I love so much this vector packs!! I am very (very) interested too. Could you let me know where I can find online a similar one. Thank you so much for getting in touch, I can definitely help keep you updated on this bundle and any similar bundles in the future! I was wondering if this deal will come back in the near future. I really want to purchase for my designs!! Please let me know or email me, Im really interesting!! Thanks so much for commenting and I can certainly help you with this! I’m afraid that The Ultimate Creative Vector Elements deal is now well and truly finished, so I won’t be able to set you up with this. However, sometimes we do re-run an older deal as a special bonus, in conjunction with a new deal. The best way to ensure that you don’t miss a deal is to join our free newsletter, by signing up at http://www.designcuts.com. I’ve added you to the master list and I’ll be sure to drop you an email if this bundle is live again. In a similar spot as Melisa – Barely missed it because I was on a trip! 🙁 This was a great looking bundle! Please let me know if this comes back as well!! Thanks so much for commenting! I am so sorry that you missed out on this one but rest assured, i have you on the master list for it now and if it comes round, I will be 100% in touch! I hope the trip was nice though? Thanks for commenting. I’m afraid that this deal is now well and truly finished, so I won’t be able to set you up with this. However, sometimes we do re-run an older deal as a special bonus, in conjunction with a new deal. The best way to ensure that you don’t miss a deal is to join our free newsletter, by signing up at https://www.designcuts.com. Does the license for these differ from the standard license found on Creative Market? From reading here it seems that these are available for use in re-sale items. Correct? Indeed. We offer an extended license, which allows you to use the resources for commercial use. Let me email you a more details of our extended license now. Hi, can yup please email us when this , or similar bundle, is available again? I’m so sorry, but I’m afraid this deal is one of our older deal, that has already had a few re-run. because of that it’s very unlikely that we’ll offer this bundle again.The best way to ensure that you don’t miss a deal is to join our free newsletter, by signing up at https://www.designcuts.com. I was wondering if this deal will come back in the near future. I’m sure it will, Jen. This is one of our newer bundles, so we will most likely re-run this. I’ll be sure to email you as soon as this bundle is live again. I’ll be sure to email you once this deal is lice again, no problem at all. I just saw this deal. when did it expire? wish it was still going on, it’s awesome! any ideas how i can still get this set? May I please be notified when this bundle is available / offered again? I started purchasing your bundles just recently and I discovered this one too late. Hi Tina – I’d love to buy some of the files individually? Would that be possible? Thanks so much! I’m afraid you wouldn’t be able to grab any individual resources fro us, but if you could let me know which ones you’re interested in I can certainly point you towards the pages where you can purchase the design goodies separately. I can certainly do that Trista. I can’t exactly say if and when this will be available again, but as soon as it is, I will let you know. will this ever be open again? or could i buy the individual packages anywhere or anything? I can’t tell you with 100% certainty if this bundle will go live again, as we’ve already re-run this a couple of time. But I’ll be sure to email you if and when we offer this again. Sorry to hear you missed this deal. Let me just email you about this. 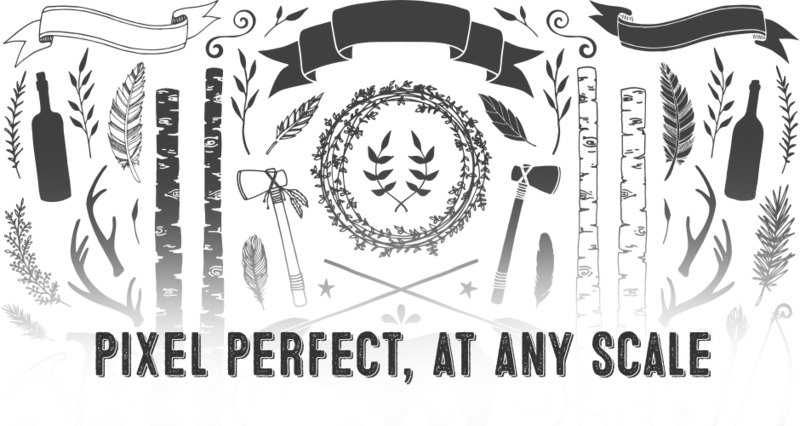 Can I get the name of the fonts used in the sample for the The Rustica Vector Pack (the ones in the bear). They look familiar but I can’t seem to figure it out! I just emailed you and the designer about this, so we can find out what font has been used for this vector preview. Designcuts, my new homepage. Please i would like this deal! I’m so sorry, but this deal is now well and truly finished, so I won’t be able to set this up for you. I will however make sure to email you as soon as it is available again. … Also includes one chalkboard web tile for the perfect seamless chalkboard background on your blog or website. There are png files using a chalkboard graphic but I don’t see a seamless chalkboard tile anywhere. I’m so sorry, but it seems like the seamless chalkboard texture seems to be missing. I’ll just email you about this, so we can get this sorted for you, and update the bundle. Was the chalkboard tile added? I can’t seem to find it. Thank you so much for your comment and I am so sorry that you are unable to find your Chalkboard tile. WELP. I just found OUT about design cuts today x_x. Please lemme know this will run again sometime? Already purchased the current live deal 😀 <3. Welcome to the community, Siva. I think I emailed you about this earlier. I’m afraid the Ultimate Creative Vector Elements Collection is well and truly finished now, but I’ll be sure to drop you an email if and when it is available again. I’m afraid this deal is now well and truly finished, so I won’t be able to set you up with this just now. However we do sometimes re-run older deals as a bonus to a new one. I’ll be suer to email you as soon as this bundle is live and available again. This has expired but I MUST HAVE IT! Do you think it will go on sale again anytime soon? It’s literally FANTASTIC! Hey Alli, I’m dropping you an email about this now. Thanks for the kind words :). I’m so sad I missed out on this! If it ever becomes available again, please let me know! Hey Christina, not to worry. I’m sending you an email about this right now. awwghh! sad loved this one! please let me know when available. Hey Ulisses, No worries at all. I’ll be sure to drop you an email as soon as the Ultimate Vector Elements Bundle is available again. Gha! Can’t believe I missed this one! Hey Dan, We’re actually re-running this deal with our next vector bundle, which is coming out next Tuesday. I’ll be sure to drop you an email, one this is live again. Hey Monica, this bundle will actually be available again later on today, as we launch our next vector bundle. I’ll drop you an email when you can grab it again. Hi Tina! Looks really amazing! I would like to get a email from you too) and want to buy it. I’m afraid this deal is now well and truly finished, Sergey, so I won’t be able to set you up with this bundle, at the moment. However I know that we’re planning another vector bundle, and will also re-run the Ultimate Creative Vector Collection. I’ll be sure to send you an email as soon as this bundle is live again. I would love an email, too, since somehow I missed it. Looks great! Thanks! No problem Sabrina. I’ll be sure to get in touch when the vector bundle is love again, which should be in mid/ late July. How I’m going to know when this package will be available again? I will definitely buy the bundle as soon as it will be back. Now I only need to learn using Illustrator and have some good ideas. Hi! I read the comments, I see the deal is done. Here is another official request to please re-run this! We’ll definitely re-run this deal again, in the near future. I’ll be sure to email you as soon as this is live again. Damn i missed it. Is there a way to purchase this collection any time soon? I’m afraid this deal is now well and truly finished, but we are looking to bring this back as a bonus re-run to a future new lead within the next couple months. I’ll drop you and email when the vector deal is live again. I just discovered Design Cuts and this amazing set of resources! Will the set be offered again soon? Hey Meka, I’m afraid this deal is now well and truly finished, but we do sometimes re-run an older deal as a bonus to a new one. As this bundle is new and has not been re-run yet, it is very likely to come back some time soon. I’ll be sure to drop you an email when this is live again. I just saw this amazing deal!! Am I too late? Thanks! Hey Joel, no worries I just emailed you. Cant believe I’ve missed this! Will it be on again? Is this super deal still available? Thank you! Hey Ruby, I’ve dropped you an email about this. WOW! that is a h@ll of a deal. Wish I was would have been quicker. No worries Corey. I’ve emailed you about this. :’/ I see this deal too late. I missed this! I missed the deal!! 🙁 Maybe they will have it again someday. I’ve just sent you an email about this. is there any chance it will be available again? I’m dropping you an email about this now, Diana. OH NO!!! I missed this! Will this be available again? Hey Matthew, I’ve dropped you an email about this. I just found this and am in love but I missed it 🙁 Any chance it will be available again? Deal expired! Is there anywhere else I can buy this from?! Hey Sara, I’ve emailed you about this. Am I too late??!! I really want this bundle! Just opened the email! Hey Tammi, no worries, I’ve email you about this. I see I’m way late on this one… bummer! Great set! Hope to see it available again in the future. Hey Mark, As much as we’d love to do that it’s actually not that simple. Each bundle involves working with several different designers who provide the content of the collections. Two weeks after the end of each deal we have to be sure to pay them for their contribution and hard work they put into the bundle. So keeping the deal alive for ever would make tracking the sales an who earned what incredibly complex, and probably not so lucrative to the designers. The simpler we keep the contributor’s process the easier it is for us to find you guys the best resources out there. Also offering a permanent discount would undermine the value of the elements, as they are available on full price from different websites. I hope you understand. I can assure you this is not a marketing tactic, but literally the only way we can negotiate such vast discounts for you guys. No problem, Jakob. I’ve emailed you about that. I am so bummed I missed this! I literally shared this deal with a friend yesterday and didn’t realize it was going to expire so soon! No worries, Alyssa. I’ve just sent you an email about this. Oh no I missed the deal because I got busy at work. 🙁 Why didn’t I buy this the other day?!?! This deal is awesome! I like that you folks are offering a broader selection than most deals. Scrapbookers are becoming interested, as well as, web designers, photographers, photo-manipulators and digi-artists. There is always something for everybody! Thanks for all the hard work ya’ll do to bring this kind of deal! It’s interesting, since I’ve become acquainted with DesignCuts, I am noticing I have become more observant of the items offered here being used in many high-end designs and advertisements. NOW WE can do them too… thanks to DesignCuts! Just dying to know what the next big deal is! Can’t wait! Hey, can I also get info on the fonts used here? They’re great! Hey Warren, I dropped you an email about this. When you sent the weekly email with the new deals, I was… I’m not taking a look at this, not now, but after a couple of emails I -unwisely-decide to take a look at the deal… I shouldn’t have… I feel compelled to buy this, this is amazing!!! Now, please stop it with the great deals of amazing graphic and fonts or I’m going to have to declare bankruptcy… I love you guys and your fine sweet deals! Are you able to provide a list of the fonts used? A big shout out to Tom and the gang at Design Cuts for making my design time more joyous, inspiring and less tedious by offering their awesome, quality resource bundles. First of all, great bundle as usual. Also, could someone please tell me the name of the font used in the ribbon “Dress up the Banners”? I guess it’s not included in the pack, right? Thanks so much for the response, Beth! Definitely a worthwhile investment. I had the privilege of having Laura as a typography instructor while I was in school. She does workshops now rather than her previous teaching position (as well as creating gorgeous fonts, of course! ), but she is really wonderful. Just extremely talented and so much fun to watch. She makes her typefaces from her own hand lettering and calligraphy. Adorn is her new font, similar to Charcuterie in function, but with even more styles. Thanks so much Irfan! 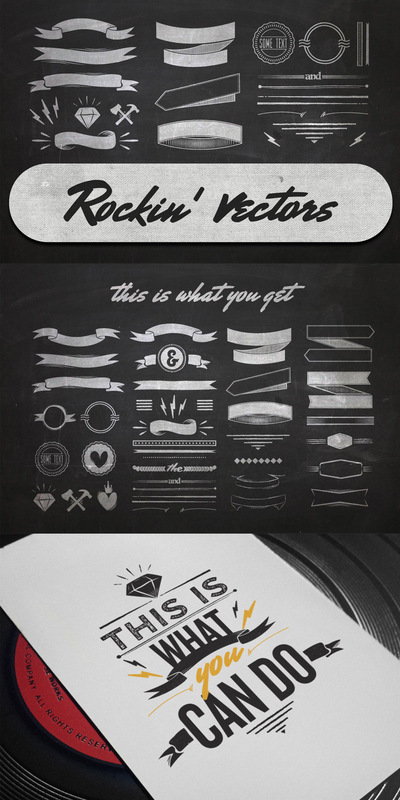 Great to hear you’re loving our new vector bundle. I hope you have loads of fun with them. 🙂 If you create something using them we’d love to see. I wish I had had this a couple of days ago! Hunted for hours for similar items for a project and still wasn’t 100% happy with what I got. This is an AMAZING collection and it’s such a deal! Thanks so much! This deal is HUGE. I am delighted with all the graphic elements, I will never need to scour the net for another banner or ribbon of my designs as this collection has every banner or ribbon I could ever conceive of needing. I feel like a kid that inherited the candy store. Holy moly, how have I not seen this site before!? This stuff is fantastic!! haha Thanks so much, and welcome to the community. 🙂 I really hope you’ll enjoy our little group and the site. I just got mine so didn’t dive in yet. Hi Roz! Vector is scalable content – you’re right. And it usually refers to content editable in Illustrator (or another vector graphics app like inkscape). I can speak for the Banner Shoppe (which is my contribution to this particular deal) in that it also has files that are compatible with Photoshop, namely shapes files (.CSH) and a Photoshop document (.PSD). These are also vectors (except in Photoshop) in that they’re scalable paths. It looks like I can just sit back and let everyone else do my work for me. 😀 Thanks everyone for all your help and support! It’s wonderful when we can help each other as well! I just reminded my community that the deal is going to expire soon! Yeah definitely. It’s a proper little community, isn’t it. 🙂 Thank you so much for all your support, Roz! I agree Matt about Illustrator. I bought Illustrator CS6 and finished paying it off the end of last year. I can’t wait to really learn it. I can muddle through, but I don’t really know what I am doing in it ~YET! THANK YOU for your contribution to the package and to responding to my question. I apologize for the delay in response! Also, thank you for including the shapes file for Photoshop! Tell the guys that someone needs to update the image at the bottom of the deal. Nothing wrong with looking at their mugs, but it would be nice to see yours there as well! Another wonderful deal. My only complaint is that I now have to wait for almost 2 weeks for the next deal. My budget, on the other hand, is thankful for the very same reason. No worries Andy, we always try to make the terms as clear as possible. You’re right about the usage in that particular case. The specific terms are ‘you may not redistribute the files directly, or within files whereby they can be extracted in their original form’. If the header template was flattened as a .jpg that would be fine, but if it’s a layered .psd, where the vectors are extractable in their original format, then that wouldn’t be allowed. Of course you could also flatten the background element, containing the vectors, and leave a text/logo area editable for your clients. I hope this helps, and if you have any other questions, or need this clarifying, please don’t hesitate to let me know. Pretty soon every designcuts deal will be synonymous to “It’s a total must.” (Must have, must buy, must be crazy not to grab it) 😉 Thanks for being the BEST always, Tom & Co.! 😀 Thank you so much, Liv! I love the slogan, very catchy. WOW. I kept scrolling and scrolling, and it seemed like I would never reach the bottom. This deal is amazing! thanks for such an awesome deal! Can’t seem to open up the 2nd zip folder :/ I’ve emailed you about it–thank you! Thanks Hannah! I replied to you earlier. 🙂 Rest assured we will get this all working for you. Another fabulous deal! Well done Design Cuts!!! Well, it’s a good thing that hadn’t gone to press yet. *Jaw dropping… I’m speechless. This is exactly everything I could have asked for. Thank you, Design Cuts. I love you. Thank you so much for the kind words, Anna-Emilia! I really hope you’ll have lots of fun with the new vector bundle. And sorry you broke you promise again. Great package can we use these to create book covers and then sell them to numerous customers. These will have some of the above design elements included to them with the psd files. Yes you can use them on book covers. This deal includes extended licensing. This means that as well as using these vectors within personal and commercial projects, you can also use them in designs/products that you resell. This could be anything from a poster print to a web banner. The ONLY restriction is that you can’t resell these vectors directly, or within files where they can be extracted in their original form, but of course, you already knew that! The thing about TOS is a never ending question as we all have to be careful how we use things and so many places have wonderful deals but the TOS make them NOT SO wonderful and Deal Breakers – depending on one’s needs! I have NEVER seen anyplace have as Super Delicious Deals (for the Creative Spirits) ANYPLACE in ALL MY TIME on the web! DesignCuts.com Deals are ALWAYS so TARGETED because they are THEME oriented! It’s really great to be working with all these crazy talented people and community members, of course. Again, thanks so much for all your help. Absolutely, Andy. All our bundles come with extended commercial license, which means that as long as the elements are used within a design and not sold in a way that each element could be re-used by the customer, you’re good to go. Awesome! This buddle is massive! Time to party…..
Yeah, get the champagne glasses out, or maybe rather the Photoshop drawing tablet? 🙂 I hope you enjoy the new bundle. Do you hate my wallet? Because I’m beginning to think that you hate my wallet. I really couldn’t buy this deal quick enough! Now, to spend endless hours messing with them. OH MY!!! You’ve done it again! I’m a sucker for flourishes and swirls, AND ~to much to mention ALL “INCLUDED” in this ONE package! Oh my I’m too late :(( I would love to know if you do this deal again! Can you let me know? It’s everything I need and more. I’m so sorry Charlie, but as one of our older deals it is very unlikely that we’ll re-run this deal again. But let me email you about this, and perhaps I can at least point you towards the sites, where you can purchase some of the resources you needed in particular. How often do you rotate your offers? Everything I like has expired!!! Thanks! Thanks for the comment! I am so sorry to hear that you have missed some of our bundles. If you let me know which ones you were after, I might be able to help. sometimes we do re-run an older deal as a special bonus, in conjunction with a new deal. The best way to ensure that you don’t miss a deal is to join our free newsletter, by signing up at https://www.designcuts.com.